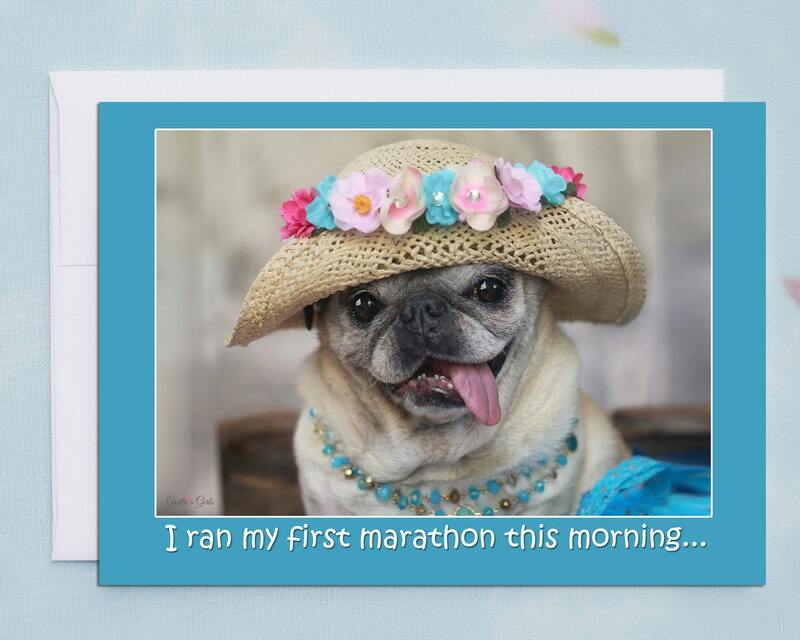 This item is one, funny card for friends by Pugs and Kisses. 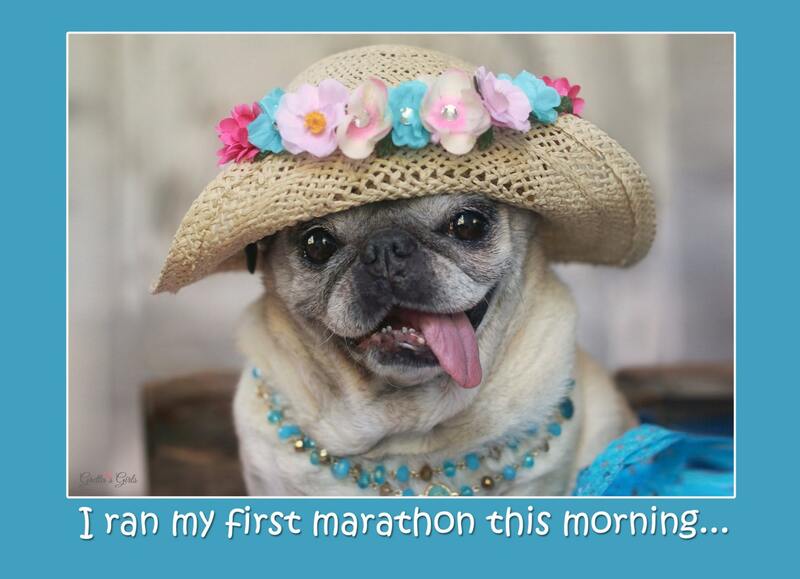 It is titled "I Ran My First Marathon." "I ran my first marathon this morning... "
"Just kidding... 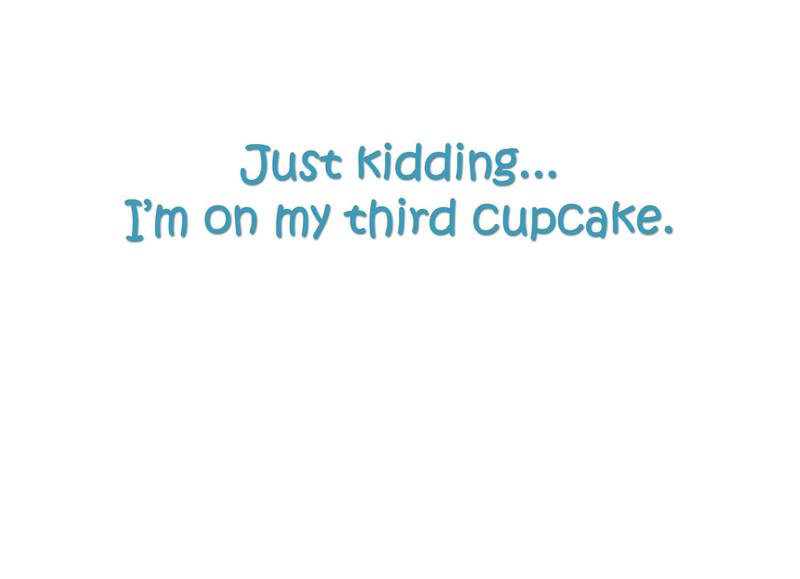 I'm on my third cupcake." This card will surely bring hardy laughs to you and your girlfriends! And what's better than laughing together? Almost nothing!